Regatta blocks in acacia and inox. Regatta block in acacia. The sheave are made of nylon and the anchors stainless steel. The sheaves work on high-performance ball bearings. 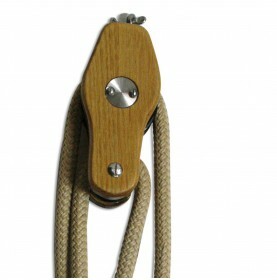 Simple regatta block in acacia for 10mm ropes. The sheave is made of nylon and the anchor of stainless steel. The sheave works on high-performance ball bearings. We have a wide range of blocks. Contact us for more information. Regatta fiddle block with shells in acacia for 10mm ropes. The sheave is made of nylon and the anchor of stainless steel. The sheave works on high-performance ball bearings. 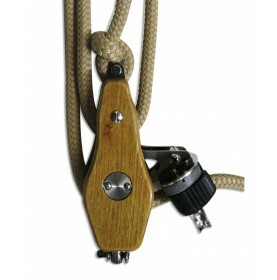 Regatta fiddle block in acacia with becket and cam cleat for 10mm ropes. We jave a wide range of blocks. Contact us for more information.